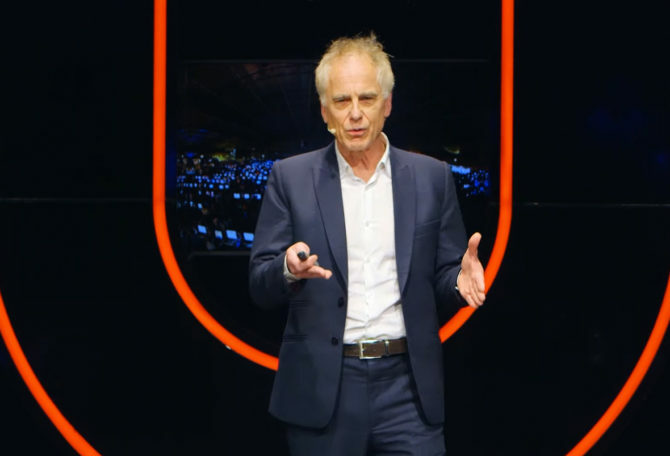 In this public lecture Prof. Ben Schouten wonders ‘How Games can create a better World’, building on the theory of persuasive games or more specific the notion of playful empowerment. How can the design of games, gamification and playful interaction, empower citizens in several application areas such as education, healthcare and city making to improve or maintain the quality of their individual and collective lives. This can be for example at schools in games that facilitate learning in a playful way or in hospitals that let children with major injuries to rehabilitate together with their peers, family, doctors and friends in an interactive playful environment. Or to increase the usage of bikes in crowded cities as alternative means for transport. The quality of persuasive games is demonstrated in several examples varying from computer mediated games to interactive toys.